I am a diehard loyal Donnie Yen fan. I was a fan before most people, since the Fist of Fury TV series days. It’s unfortunate because he peaked late to the love of mass audiences but the definite Donnie Yen works are all the films before he struck gold with Ip Man. Films such as Legend of the Wolf, SPL and Flashpoint will remain among my all-time personal favorite martial arts films. Flashpoint is the ultimate achievement in fight choreography. Yen always maintained his own style of choreography, stressing that it should be realistic and grounded in martial arts techniques. The speed and force of hits in Yen choreography are always the highlight of his fight scenes. Speaking of which, I’m also a Takeshi Kaneshiro fan. He is a very smart actor that nobody ever gives him credit for because presumably he’s too good looking. He’s versatile (he can play drama, sing, and do comedy) and always brings up interesting characterizations to the table. In the beginning stages of shooting Wu Xia, he opted to perform his character in a Sichuan accent, which totally constructed a new layer to his detective character. With the snotty reaction of non-Mandarin actors speaking mandarin in Crouching Tiger Hidden Dragon (which inadvertently lead to Cantonese actors being dubbed in the Mandarin releases) has no Chinese actor since attempted an accent. The stresses, tones and built-in emotionality of a Sichuan accent made his character more comical and quirky and in my opinion helped us see the intense quirks of his character. 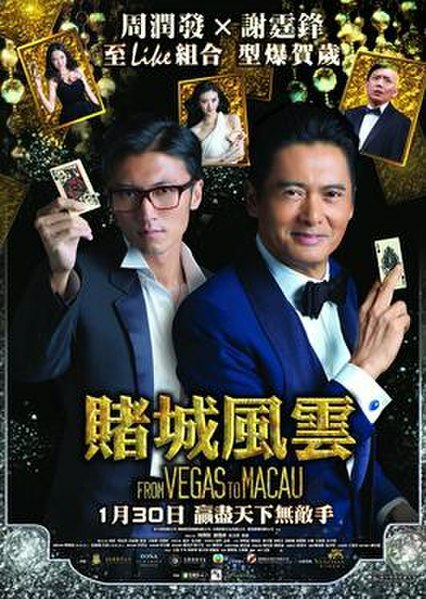 This film must be watched in its mandarin version to fully enjoy Kaneshiro’s performance. So you can understand the excitement I had for Wu Xia when it was said that these two actors were casted together in the same movie. I rather enjoyed the film. It brought some new colors to the wuxia genre. It contains the best Donnie Yen acting performance. Jimmy Wang is genuinely scary as the villain. I think Takeshi Kaneshiro is snubbed at the Asian Film Awards and the Golden Horse Awards. As much as I enjoyed the film, the filmmaker in me, thinks the third act could have been much better polished to be something great. The film is set in 1917 in a post-Qing Dynasty era, at Liu Village on the border of Yunnan, China. Liu Jin Xi (played by Donnie Yen) lives with his wife Yu (played by Tang Wei) and two children, works as a paper maker in Liu Village. One day, two bandits rob a general store. Liu Jin Xi, who happens to be in the store, gets into a brawl in an attempt to protect the storeowner. He kills the bandits and is branded a hero in his village. Detective Xu Baijiu (played by Takeshi Kaneshiro) is sent to investigate the case and discovers that one of the dead bandits was Yan Dongsheng, who is among the government’s ten most wanted fugitives. How can a simple commoner manage to take down the two most wanted fugitives? Through an accessment of the crime scene and an autopsy, all of the clues conclude that Liu Jin Xi is an expert martial artist. He’s able to induce brain hemorrhaging by hitting their Vague nerve and alter his weight with his Qi (a scientific explanation for ‘flying skills’ in the wu xia genre). 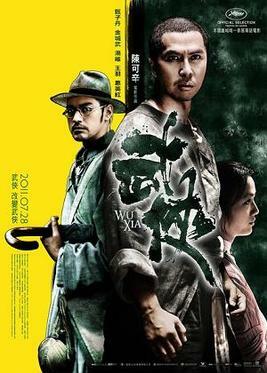 Through many trials of investigation, Xu Baijiu finds out that Liu Jin Xi is really Tang Long – the second-in-command of the 72 Demons, a group of vicious and bloodthirsty warriors of Tangut minority descent trying to avenge the destruction of their people, who brutally murdered a butcher’s family (of Han descent) in Jingzhou ten years ago. Liu Jin Xi walks Xu out to the forest and instead of killing him, Liu spares him. Liu hopes Xu will let him go. Xu immediately returns to the county office to obtain an arrest warrant for Tang Long. The magistrate delays issuing the warrant, citing lack of evidence while actually demanding a bribe from Xu. Xu eventually obtains the bribe money from his estranged wife (played by Li Xiaoran), who blames him for causing her father’s suicide. After issuing the warrant, the magistrate informs the Master of the 72 Demons (played by Jimmy Wang, the original One-Armed Swordsman) on Tang Long’s whereabouts, hoping to receive a reward. The Master is offended and reveals that Tang is actually his son, and he kills the magistrate by severing his Vagus nerve. The Master sends his Demon henchmen to Liu Village to capture Tang and burn down the place. While Xu and the constables are on their way there, the two Demon henchmen reach the village first and kill a villager to force Tang to acknowledge his identity. Tang can no longer control himself and he fights and kills the two assailants, one of whom is the Master’s wife (played by Kara Hui), also Tang Long’s mother. Xu decides to help Tang Long, using his knowledge of physiology, he induces a fake death with Tang Long’s body so the 72 Demons will no longer harass him. When the Demons arrive they lament over Tang’s death, crying over his body. Xu knows that Tang cannot remain in his “death” state for any longer so he revives Tang. Tang severs his left arm in front of the Demons, announcing that he has formally broken ties with them by giving them his murderous hand. The Demons tell him to approach The Master, who is waiting for him at his home. Tang Long goes home on a rainy evening to find the Master with Yu and his two children. The Master declares that he will let Tang go but he must take Xiaotian’s life as a fair trade off. Tang is enraged and he attacks the Master with a broadsword but to no avail, since the Master uses qigong to protect himself from the blade. Xu Baijiu infiltrates the house through a hatch and weakens the Master’s defense during the fight by piercing his heel with an acupuncture needle from underneath the floor. The Master is angered and incapacitates Xu. Tang continues fighting but is quickly overpowered by the Master. Just as the Master prepares to kill Tang, Xu notices the needle still stuck in his heel and takes him by surprise, planting another needle in the Master’s neck. The Master is unfazed and mortally wounds Xu by slamming him hard to the ground. The top needle acts as a lightning rod, and in combination with the bottom needle acting as an earthing wire, the Master is charred by a lightning strike, killing him. Xu, with his dying breath, declares the case closed. The ending scene of the film shows a now one-armed Tang Long heading off to work again. He says farewell to Yu and trails off to work. …Last chance not to spoil it for yourself! My problem with the movie starts in the third act. It all begins with Liu Jin Xi chopping his own arm in front of the Demon lackeys. Many will argue the Liu Jin Xi’s arm chopping to be a convention of the wu xia genre (though I don’t know where that has occured), it seems to come out-of-left field and out-of-character. The fact that it’s convention doesn’t bother me. Frankly, you can cut both his arms off (Donnie Yen is a kicker anyways), but it’s not justified by the character. The Tang Long character wakes up from his faked death amongst the 72 Demons, his father The Master, isn’t there. He is among lackeys! Why would he chop off his arm in front of them to trade for his freedom? They ultimately do not have the power to decide whether Tang Long can be let go or not. He chops his arm off and then the lackeys tell him he should see The Master as he is the decider. Wouldn’t you feel stupid in that moment if that happened to you? The film’s major problem in the third act is that it ends with a deux ex machina. Yes, a lighting bolt is what kills the villain. The villain is set up to be so powerful that he is simply unbeatable by either protagonists, neither brains or brawn. An act of god comes in and kills off the Jimmy Wang character. And that’s where they got it wrong! It should be brains and brawn working together that beats The Master at the end. And even if they beat The Master of the 72 Demons, the story hasn’t ended yet. Tang hasn’t even taken out the lackeys (the ones that cried over his fake death). They’re still alive and presumably around! Xu decides to help Tang Long, using his knowledge of physiology, they fake Tang Long’s death so the 72 Demons will no longer harass him. When the Demons arrive they lament over Tang’s death, crying over his body. Time runs out and Xu revives Tang before he dies from being in his “death” state too long. Tang fights the Demon lackeys with both hands, finally finishing off the leader, who tells him The Master (Jimmy Wang) is at his house waiting for him. Tang takes the lackey’s broadsword and heads home with Xu. Tang Long goes home on a rainy evening to find the Master with Yu and his two children. The Master declares that he will let Tang go but he must take Xiaotian’s life as a fair trade off. Tang is enraged and he attacks the Master with a broadsword but to no avail, since the Master uses qigong to protect himself from the blade. The Master breaks off Tang Long’s left arm and gives him a speech about being a traitor to his clan, that he should haven’t joined the Han people and that he should have avenged the death of his people. While this is going on, Xu Baijiu infiltrates the house through a hatch and weakens the Master’s defense during the fight by piercing his heel with an acupuncture needle from underneath the floor. The Master pulls Xu from underneath the boards and incapacitates him. Tang takes the blade, continues fighting with one-arm but is quickly overpowered by the Master. Just as the Master prepares to kill Tang with one final blow, Xu plants several needles in the Master’s neck. The Master’s qigong defenses are totally taken down. Tang chops off his head with his blade. Xu, with his dying breath, declares the case closed. We see Xu die as Yu and the kids come to Tang’s aid. We fade to black. Some time later, a now one-armed Tang Long heads off to work again. He says farewell to Yu and trails off to work. We see the Liu Village being rebuilt. So those are my thoughts! That just makes more sense to me. Tell me what you think! And not that this would matter, but Harvey Weinstein, please don’t call this movie Dragon for the U.S. distribution. That’s a horrid title.